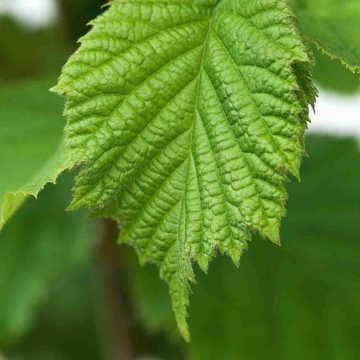 Wild Cherry awakens in Spring with new leaves and flowers appearing simultaneously. 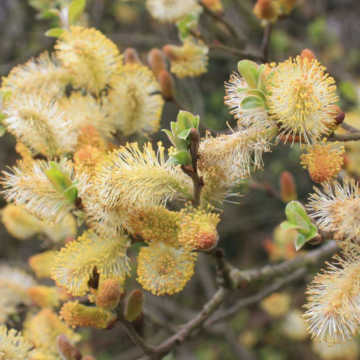 The long-lasting flowers appear from red buds and are held in long drooping clusters, like cotton wool. 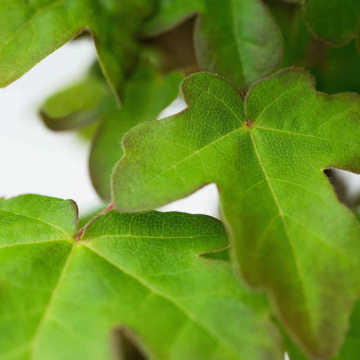 The leaves are bright green, oval and tooth edged. The cherries have less flesh and are more bitter than the cultivated species, but have the same dark red colour from July and will be quickly stripped from the tree by birds. The Autumn colour of the leaves is spectacular. The tree has a neat and tidy shape with a straight trunk (with smooth red brown bark) and a rounded crown. The tree is successful in light shade but fruits better in a sunny position and it does well in most soils and situations other than exposed sites (where the flowers would blow off) and waterlogged soils. View our complete range of high quality, flowering hedge plants and our tasty range of edible hedging plants. 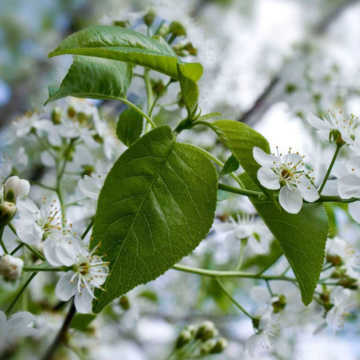 Wild Cherry is also a UK native hedging species and can be found in our Mixed Native hedging selection.  See our full range of Mixed Native Hedging Packs for more information. General hedge trimming should be done twice a year, late Winter and early Spring. It is important to prune at the right time, so as not to remove new growing shoots.